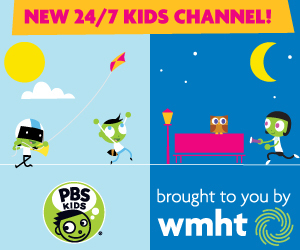 Sesame Workshop, the nonprofit educational organization, launches Sesame Street’s 44th season on PBS KIDS September 16, 2013 at 10am on WMHT TV with a funny new segment, “Cookie’s Crumby Pictures.” In each five-minute segment of “Cookie’s Crumby Pictures” children will learn many strategies and activities that promote the self-regulation curriculum. Additionally, Sesame Street viewers will get to watch the new Latino neighbor, “Armando,” played by actor Ismael Cruz Córdova. Other season highlights include new original songs and street stories; new “Elmo the Musical” segments; new animations and, as always, new hilarious spoofs and celebrity appearances! Fortunately, self-regulation skills can be taught during the preschool years and development of these skills happens rapidly. Children can learn the behavioral strategies such as regulating emotions, controlling and resisting impulses and exerting self-control — skills essential for social-emotional competence and academic success. “Cookie’s Crumby Pictures” is a brand new segment that parodies the coming attractions of popular movies and reinforces the show’s self-regulation curriculum. For 44 years, Cookie Monster has struggled with intermittent success to consciously control his thoughts, actions and emotions. Through seven hilarious spoofs, including “Life of Whoopie Pie,” “The Spy Who Loved Cookies,” “Les Mousserables” and “The Hungry Games,” we’ll see Cookie Monster attempt to master executive function skills — a key component of self-regulation. He’ll display self-control (try not to eat the cookie), delayed gratification (eat the cookie later), flexible thinking (think about something else so you don’t eat the cookie), working memory (remember a strategy that worked before to keep from eating the cookie) and task persistence (being motivated to not give up while waiting to eat the cookie). Along with Cookie Monster, children will also learn about identifying and managing emotions and empathy. Additionally, new games available on sesamestreet.org and PBSKIDS.org/sesame will be launching this fall for both desktop computers and iOS/Android tablets. On sesamestreet.org, kids will steer Cookie Monster as he drives and races along different learning-themed roads to see how many laps they can complete before the cookie crumbles! Kids will need to remember, listen and follow directions as they race against the crumbling cookie in a variety of exciting executive function learning-based tracks! Preschoolers will be able to build their own cart, select from three different tracks and collect special power-ups that will aid them along the way. On PBSKIDS.org/sesame, kids will be able to play self-regulation-themed games based on three new “Cookie’s Crumby Pictures” segments from the show, and even more new games will be available on PBSKIDS.org/sesame in the coming months. “Cookie Monster is the poster child for attempting to master self-regulation and executive function skills and therefore the perfect character for preschoolers to identify and learn with,” said Carol-Lynn Parente, Executive Producer of Sesame Street and SVP of Content at Sesame Workshop. Sesame Street is constantly evolving and has a long-standing history of modeling a diverse community. As producers were identifying the realities of the changing American population, it was important to represent that diversity in the new addition to the cast. “Armando,” a writer from Puerto Rico, will join Sesame Street’s bilingual community and share his heritage and culture with the rest of the neighborhood. In “Mando’s” premiere episode, it’s a Latino Festival on Sesame Street! The neighborhood is filled with people from all around Latin America. “Mando” teaches Rosita and friends about how each country in Latin America is different but there is one special thing that Latinos have in common — most of them speak Spanish! The journey to find the new cast member began in August 2012 when hundreds of young hopefuls turned up for Sesame Street’s first-ever open casting call held in New York City. Actors showcased their Spanish fluency, comedic timing and vocal abilities during a day of auditions and subsequent call-backs. You can follow Sesame Street’s quest to find “Mando” here. New street stories and segments will not only highlight the 44th season’s curriculum, but also delight fans of all ages. In “Simon Says,” Simon, played by Game of Thrones’ Peter Dinklage, comes to Sesame Street to have players compete in the game and gives Telly and Elmo some advice on how to pay attention and follow directions. In “The Wild Brunch,” the zookeeper, played by Audra McDonald, helps Snuffy learn some strategies on remembering directions and task persistence. Additionally, a re-make of the popular Sesame Street song, “I Love My Hair,” is now sung in Spanish by “Mando” and the same inspirational puppet-girl from the original video. An impressive line-up of celebrities and headline makers are featured in the new season, including Academy Award-winning and nominated actors Charlize Theron, Forest Whitaker and Anna Kendrick; Golden Globe-winning and nominated actors Lauren Graham and Sarah Michelle Gellar; Emmy Award- winning and nominated actors Hank Azaria, Audra McDonald, Tyra Banks, Benjamin Bratt and Tom Bergeron; Grammy Award-winning musicians Usher, Dave Matthews and Romeo Santos; Superman’s Henry Cavill; Game of Thrones’ Lena Headey and Peter Dinklage; True Blood’s Rutina Wesley; The Big Bang Theory’s Kunal Nayyar; How I Met Your Mother’s Cobie Smulders; Grey’s Anatomy’s Jesse Williams; Once Upon A Time’s Ginnifer Goodwin; Mike & Molly’s Billy Gardell; actors Tyler Perry, John Cho, Josh Gad and J.R. Martinez; Pittsburgh Steelers’ and NFL star safety Troy Polamalu; Houston Rockets’ center and NBA Slam Dunk Champion Dwight Howard; Los Angeles Angels’ star and three-time National League MVP Albert Pujols; Olympic Gold-medalist Evan Lysacek and musical group Pentatonix. Produced by the nonprofit educational organization, Sesame Workshop, season 44 of Sesame Street is funded in part by a grant through the Corporation for Public Broadcasting and public television viewers. Sesame Street is underwritten in part by Beaches Resorts, Earth’s Best Organic, PNC, UnitedHealthcare and Party City.